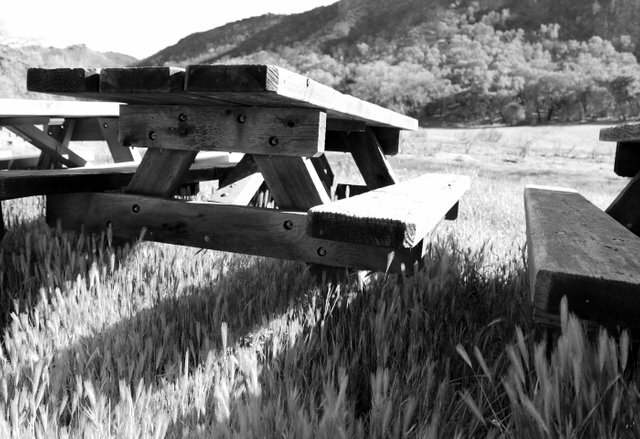 I'm posting this image of a lonely picnic ground longing for picnickers for the daily #MonoMad photo contest created by @brumest and curated by @monochromes. Spring is here. Won't you cheer these tables up by enjoying a nice picnic lunch with them? Lamento leer esto. Espero que pronto te sientas mejor. Me alegro de que te sientas un poco mejor y espero que tengas un buen día.